Twitter can be used to create brand awareness, gain more leads, perform competitive analysis, and so much more. If you wish to learn how to use Twitter for marketing, then you need to have a solid plan for what to tweet about..
With the latest update regarding the 280-character limit on tweets, it has become easier than ever for marketers to come up with more engaging content. While having an appealing cover image or an optimized description will certainly help you gain brownie points on Twitter, you won’t be able to perform an outstanding Twitter marketing without working on your content. To help you draft better tweets, I have come up with this comprehensive post. Simply focus on these expert suggestions and draft winning tweets for your brand. Almost every market knows that the retention rate of visual content is more than plain text. This is one of the main reasons why video and GIF-based content has grown over 220 times on Twitter. Therefore, to start with, you should unravel the art of video marketing on Twitter. 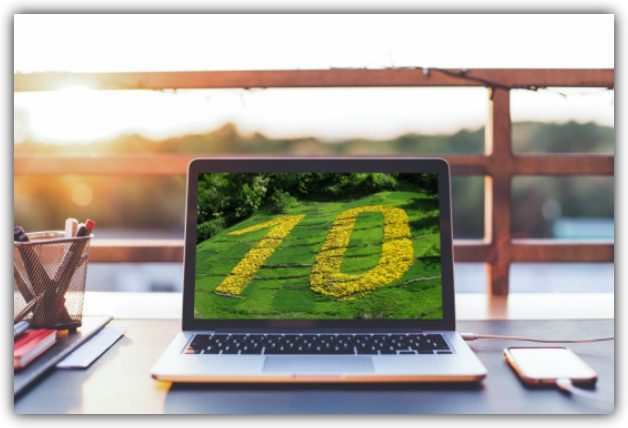 By including photos, small clips, or GIFs in your tweets, you would certainly be able to convey more and get your audience’s attention instantly. Here are some proven statistics to provide how important visual content has become. While using any visual aid, try to make it more product-centric. If you can showcase a product in a compelling manner, then it will certainly leave a lasting impression on your audience. Here, you can see how Starbucks played with their iced-coffee and cold-brew drinks. “It’s important to tag the people and/or brands you’re talking about. Paint a picture in 280 characters. Use videos in your tweets. Most common mistake made by businesses is using social media as a broadcast platform from one to many rather than as a communication platform from one to one. Social media should be about building relationships, not corporate messaging. Every experienced copywriter knows how a few “power” words can make headlines, copies, tweets, etc. more personal and effective. By including the right kind of words, you can convey a message in a better way and make your tweets resonating. Before you draft a tweet, take a step back and analyze its purpose. If you want to include a “CALL TO ACTION” (CTA) then you can come up with a few options and pick the best one. If you are including a visual aid, make sure your text is going well with it. Power words should not be extremely difficult. Most importantly, don’t make your tweets too wordy. Even though Twitter has increased the character limit to 280, you should not get carried away. If you are able to convey something in limited characters, then try not to drag your message. Creating “hooky titles” really is the essence of Twitter Strategy now. Something short and sweet that “hooks” you in. If your tweet is related to a certain follower, influencer, brand, or any other user, then you should always mention their Twitter handle. This will notify the mentioned user instantly about your tweet. If you have mentioned them in a constructive manner, then they would certainly give it a retweet (or reply) which will boost the overall reach of your tweet. Additionally, it will help you maintain a fruitful relationship with the mentioned influencer or brand as well. In this way, you can expand your social circle on Twitter while giving your tweets more visibility. 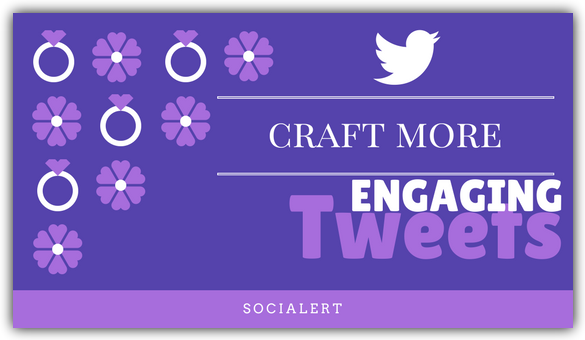 To craft a better tweet, you should personalize it. Write why you read something and want to share it prior to the tweet and link. Be sure to have their handle in the “via” part of the tweet as well. We all can follow this expert suggestion by Lisa. The next time you read something you want to share on Twitter, feel free to mention the author’s or the brand’s handle. Even if you are managing a brand’s account, you can tag influencers and collaborators in your tweets like this. If you will include complicated and difficult words in your tweets, then it will certainly have a direct impact on its reach. Before drafting a tweet, take a step back and think from the perspective of your audience. You can even take the assistance of Twitter Analytics to get an in-depth knowledge about your followers. Afterward, you should develop the kind of content that your audience can relate to. Especially, if you are running a promotional campaign, then your content should be as simple and effective as possible. Writing tweets is a science that can easily be mastered in no time. Even if you are showcasing a product, you don’t have to a write an entire description. Just an engaging phrase like this would be enough. Too many times, we forget that a platform like Twitter or Instagram can be used to be more “social” without much trouble. You should make an effort and get to know your audience by posting more engaging content. Ask your followers a question or simply initiate a conversation. In this way, you would be able to involve your community too. At the same time, the engagement rate for the respective tweet would also increase. I use these three techniques to start a conversation with my audience. This is one of the best ways to start a conversation with your followers. Simply ask them a question about a product, welcome their feedback, and let them make a decision for you. In this way, your followers will feel valued and heard as well. If you have too many options and would like to follow a statistical approach, then hosting a poll would be the best idea. Since Twitter has an inbuilt feature for this, you don’t have to use any third-party tool. If you want to run a dedicated campaign on Twitter, then you should take the assistance of hashtags. Firstly, make yourself familiar with the do’s and don’ts of hashtag marketing. The first step is to come up with a hashtag to drive your campaign. People should be able to understand it easily. Try not to combine more than 3-4 words together. There are also dedicated tools like RiteTag and Hashtagify that you can use to discover new hashtags and know more about the trending hashtags. Also, you can use a hashtag analytics tool (like Socialert) to measure the reach of your hashtags. Don’t include a hashtag that is already used by a competitor. Be original and don’t come up with a hashtag that is insensitive or rude. Don’t include too many hashtags in a tweet. Besides using the main hashtag, you can use a maximum of 2-3 other hashtags to make your tweets easy to discover. Making every word a hashtag is a big no!! “Don’t use more than two hashtags. Make a complete, crisp sentence if you want to express more. Hashtags can be used to run an entire campaign or contest as well. For instance, here is how Lay’s ran a global contest with #DoUsAFlavor, asking their audience to vote for their best flavor. You can also use an already trending hashtag while posting your tweets. Here, you can see how Hubble used the popular #ThrowbackThursday and posted an informative tweet. With the 280-character limit for tweets, they were able to draft such an educational tweet for their audience. If you wish to win over your followers, then treat them with exclusive offers. This will also help you gain more followers. By tapping this human behavior hack, you would be able to convert your social media followers into prospective customers and leads. Here is a simple example of the same. On an average, 500 million tweets are posted in a day. With so much of noise around, chances are that your tweets might go unnoticed. Therefore, if you wish to improve the conversion rate of your audience to leads via Twitter, then you should post your important links in different ways. Firstly, make sure you are posting the content at the right time. Ideally, you should avoid posting important tweets after 8 pm. Also, you should keep the timezone of your audience in mind. Take the assistance of a post scheduler tool in order to automate the posting of tweets. This will certainly save your time and resources. Don’t make the rookie mistake of posting identical content on the same day. This will only spam your audience and they might end up unfollowing you. Even if you want to share the same link, draft your tweet in different ways and analyze their results. At the end of the day, Twitter is just like any other powerful platform that can help you generate more leads. By including different kinds of CTAs in your tweets, you can direct your audience to your website (or any other target). By using Twitter tracking tools, you can even analyze the conversion rate of your Twitter audience to prospective leads as well. Most importantly, tweets need to have an anchor that the reader can hold on to and also need to have CTA for the reader to take action. After increasing the word count of tweets to 280 characters, you can experiment with your call to actions as well. Asking users to go to a website, create their account, and try a service for free. Simply share your content and let users know where they can buy a product. You can also use it to increase the download or subscription of your service/product. Include your CTA in a tweet and ask your audience to retweet it to be eligible for the giveaway. I’m sure that after following these suggestions, you would certainly be able to draft more compelling tweets leading to a better engagement. If you also have a suggestion that can help our readers to come up with effective tweets, feel free to share it with us in the comments below. CoFounder of Socialert, he believes in coming up with engaging tools to redefine the face of digital marketing.